Studex Sensitive hypoallergenic crystal covered 4.5mm, 6mm and 8mm fireball surgical steel stud earrings with surgical steel butterfly backs. 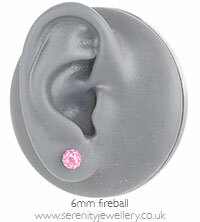 Please note: As the fireball earrings are quite delicate Studex advise not to wear them in bed. 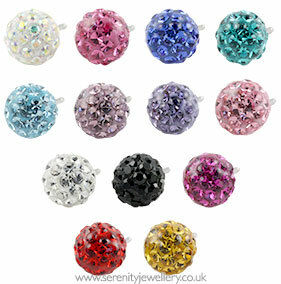 To protect the earrings they also should not be worn in swimming pools, baths, showers, saunas or in similar conditions. My daughter (8) chose the 6mm to go with her party dresses. No problems in the ears and she enjoys wearing them. I thought they may have been to small but on receiving them the size was just right for her. These earrings are truly lovely. I've had so many comments on how nice they were. I love them. Thank you ... again. I brought these in the AB crystal for my Daughter for Christmas. They are really pretty and she loves them. She has to be careful what earrings she wears but has had no problems with these. Great buy, would buy another colour. 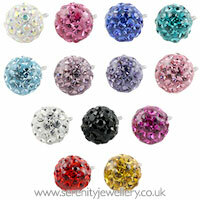 I have got several pairs of these particular earrings in different colours. I have very sensitive ears but I have never had a problem with these. Would recommend. Lovely little fireball earrings. Perfect for my little ones sensitive ears. I bought these as I am allergic to silver and they look and feel great. Very sparkly, will definitely buy another pair in a different colour. My daughter loves these and so do all her friends! Will be back to buy more for presents I think!! Really nice. Perfect for children.